Great mod! Keep up the good work! 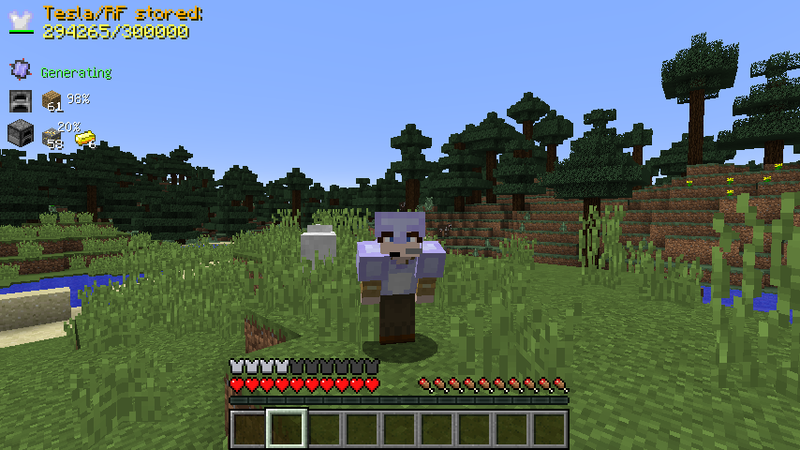 I think im gonna put this in my modpack if you dont mind. 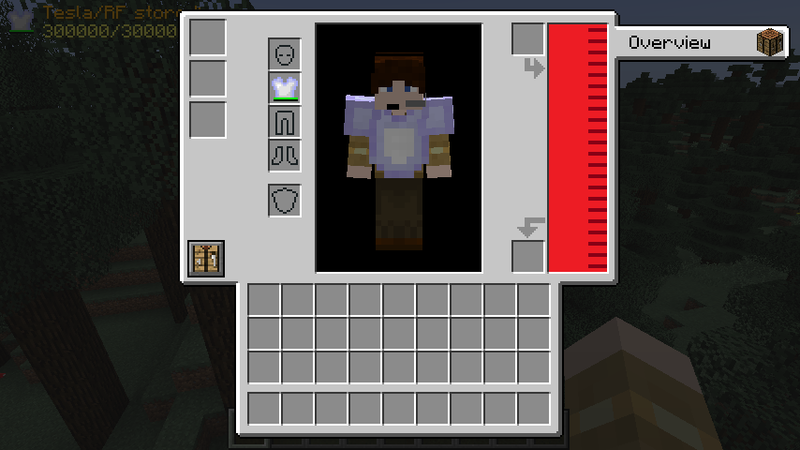 Could you add a module that adds more slots for modules. 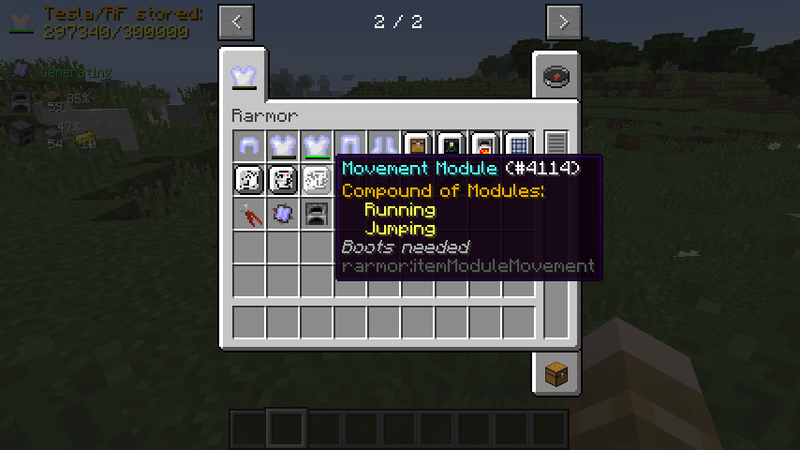 Could you possibly add a module that works like a jet pack. Personally i think that would be awesome!. How do I create this armor? 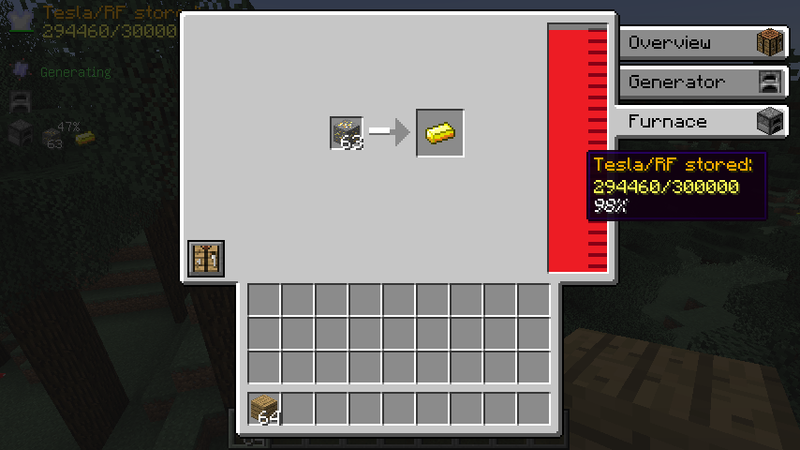 Using JEI doesn't show a recipe. 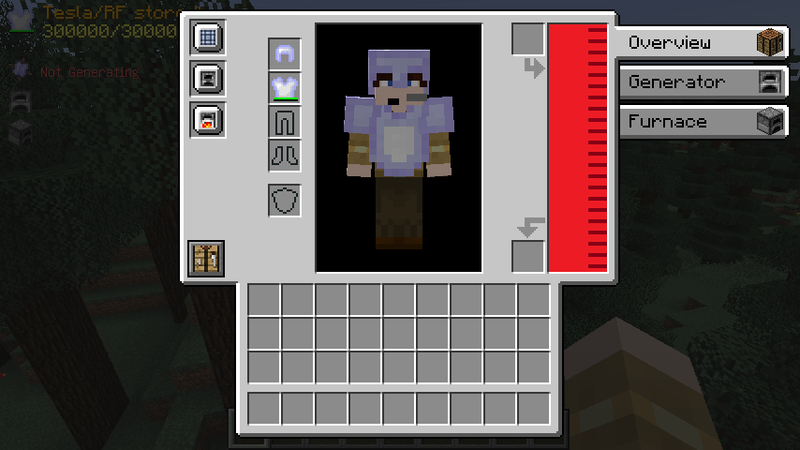 when i went to change the color of my armor the game crashed. So the 2 slots below the battery icon, from top to bottom are: Some kind of upgrade slot, explanation of this would be nice, and a built-in furnace.